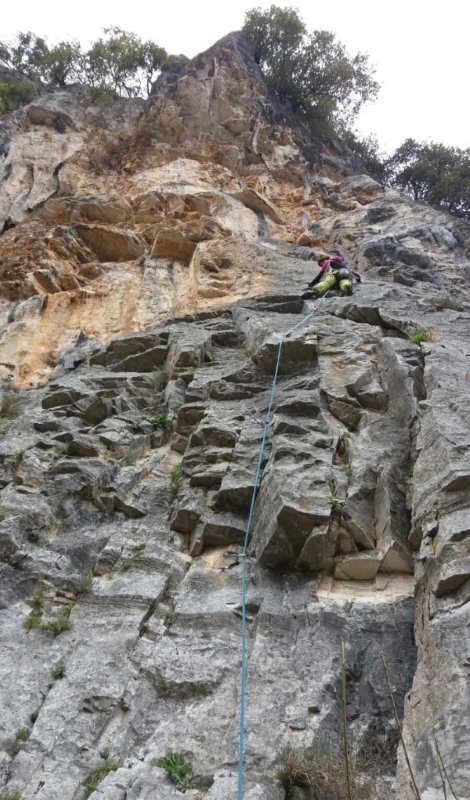 Climbing in Val Pennavaire begins in 1990, with the discovery of the cliff at Rocca dell’Arma. Subsequently the cliffs of Bausu, Fontana and Malavoglia are equipped. In 1994 the first guide of the valley came out with about 140 pitches and 9 crags. At the turn of the century the old climbing sectors are revalued, if they discover dozens of new ones. In 2007 a new guide was published and in 2012 the RocPennavaire association was born, whose aim is to promote climbing in Val Pennavaire. The last reference guide for climbers in the valley is “OLTREFINALE“, by Andrea Gallo, iVert edition and dates back to May 2014. The guide has about 60 crags and about 1.300 pitches. 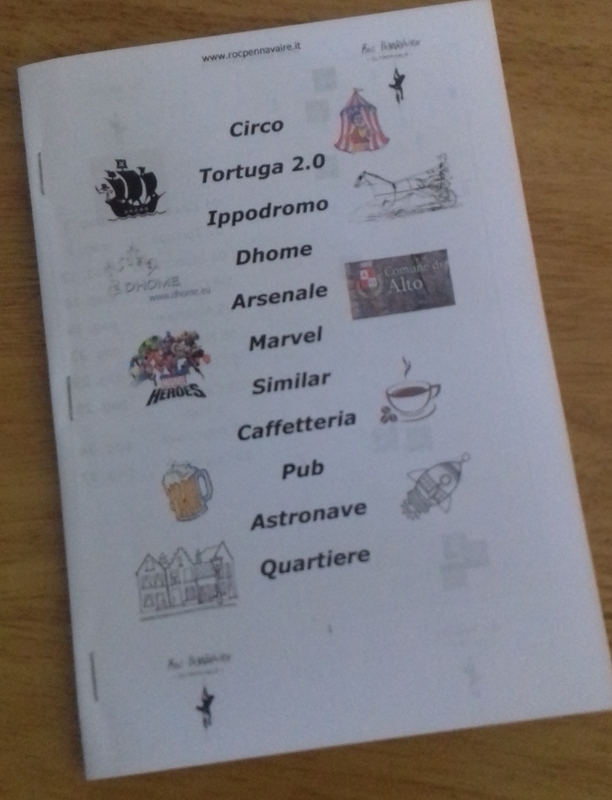 All the new cliffs are listed in the little guide, which you can find for sale both in the B & B Arvé and at the Bar Neva or CPR sports shop in Cisano sul Neva (SV). On the guide there is also the B & B Arvé! We have contributed to the sponsorship of nailing at the Ippodromo. 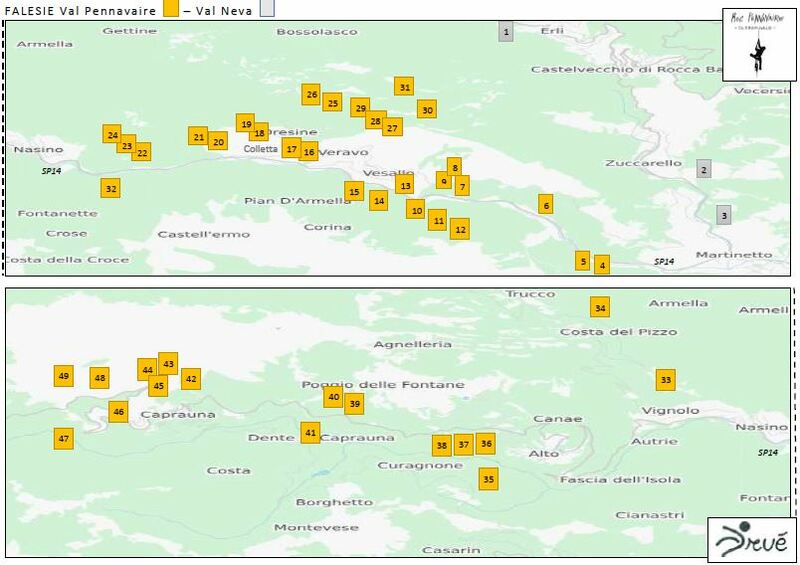 To get an idea of ​​where all the cliffs of Val Pennavaire are distributed, you can download the relative mapping of the crags. 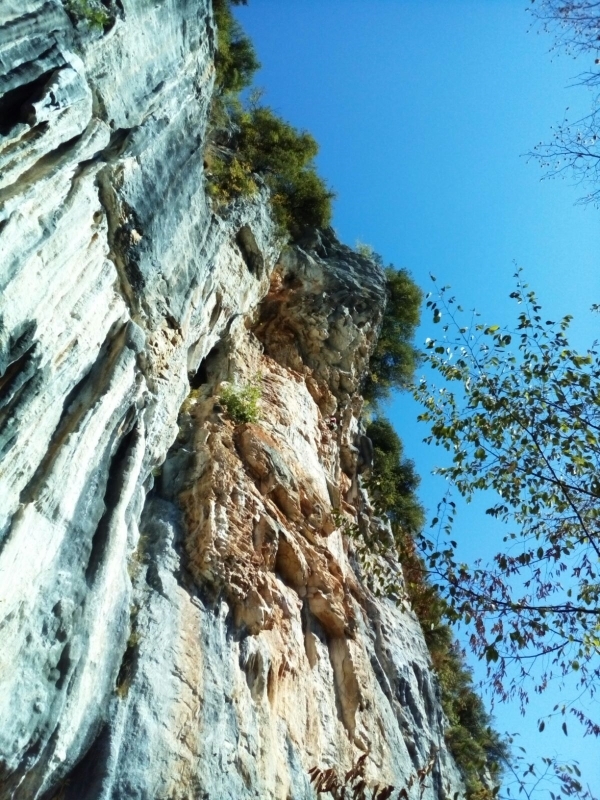 If from the B&B you want to head towards the cliffs Garda, Galera, Malavoglia, Bausu or Fontana without using the car, you can consult and download the guide for these approaches.